The fluttering leaves and autumnal colours have us lusting after cozy winter nights. 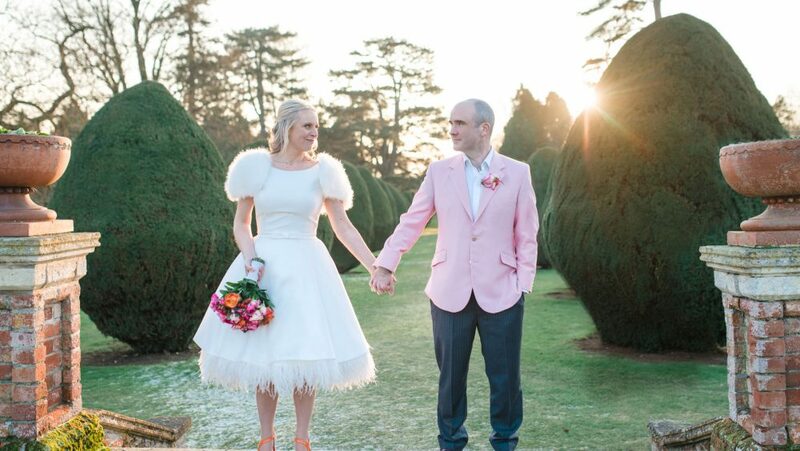 The turn of the season can only mean one thing, winter wonderland weddings are on the horizon! Winter sunsets, frosty nights, twinkling fairy lights and soft candlelight are just some of the magical offerings of a winter wedding. If you have always dreamed of being a winter bride, these 11 beautiful settings are some of our top choices across the country for romance and spectacular photographic opportunities. 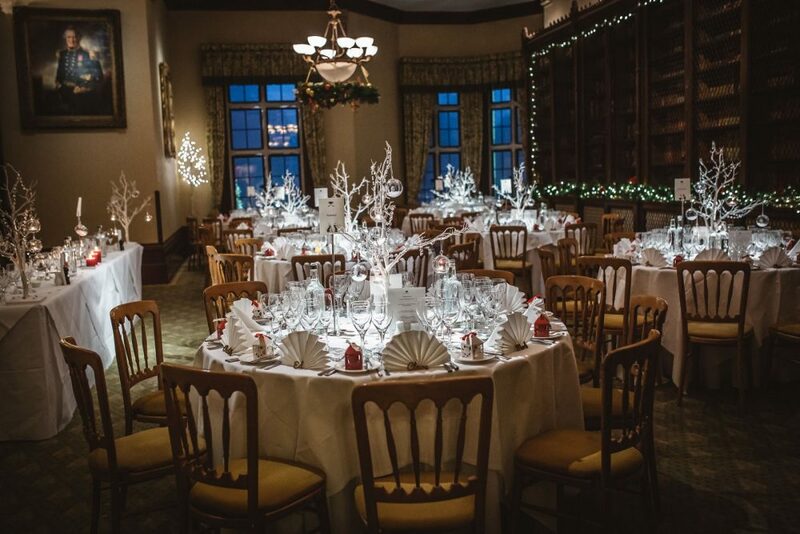 With 35 acres of beautifully manicured grounds paired with ornate and luxurious ceremony and reception rooms, The Elvetham in North Hampshire provides the perfect backdrop for a truly unforgettable winter wedding. Boasting romantic charm, a wealth of history and warm hospitality from the moment of arrival, you can be assured that the experienced team will be on hand every step of the way to ensure that your wedding day is both beautiful and unique. 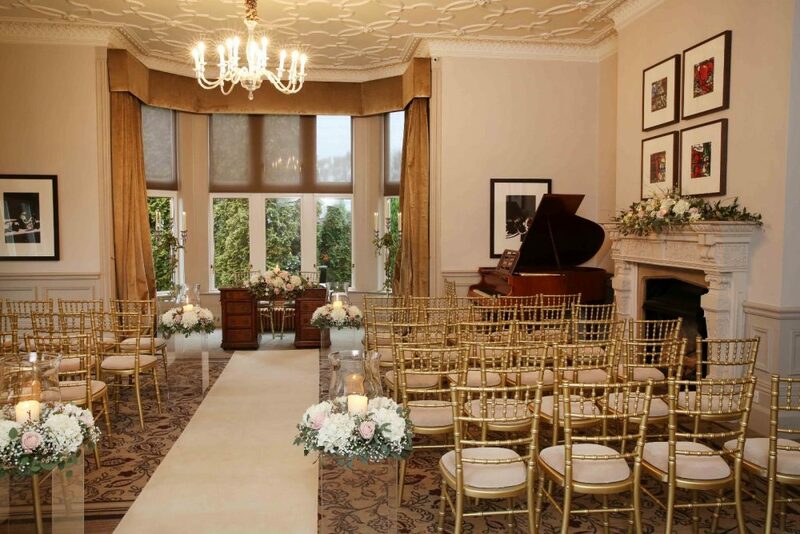 Whether you are looking for an intimate and romantic wedding or would prefer a lavish affair with family and friends, The Elvetham is the wedding venue with endless possibilities. 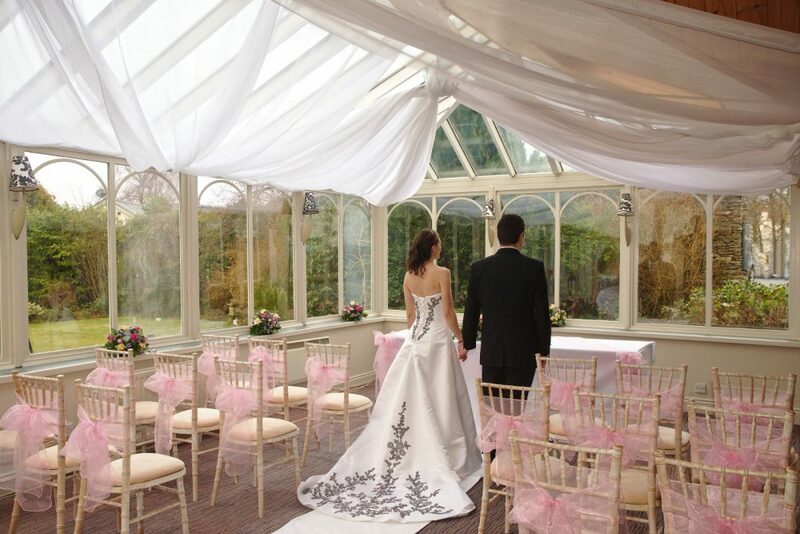 Tie the knot at The Elvetham this winter and you can save up to £4,500 on your dream wedding. Winter wedding package includes; Prosecco for your reception, a three-course wedding breakfast, luxury bedroom for the newlyweds, menu tasting session, and much more. Priced £5,000 for 60 guests. 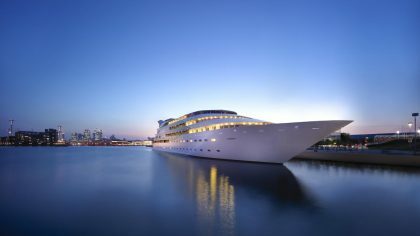 Additional guests charged at £85 per person, VAT included. Available to new weddings booked on selected dates between October 2017 and March 2018. 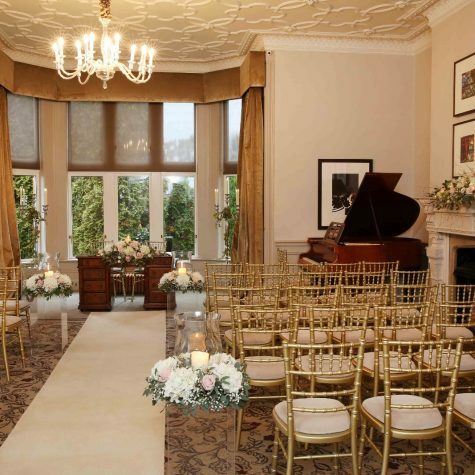 To discuss your preferred date or book an appointment, call 01252 847 293 or email weddings@elvethamhotel.co.uk. The Castle Green Hotel are experts in hosting wonderful winter weddings, but the most important thing they’ve learnt over the years is that every couple has their own vision of their perfect day – their job is to make that vision a reality. However unusual your request, the hotel’s specialist team of experienced wedding coordinators will work with you to craft your dream day. With two AA rosette winning food, four-star luxury accommodation, beautiful landscaped grounds, elegant homely interiors and plentiful room options, Castle Green Hotel can cater for couples planning weddings of any size, working to budgets large or small, with ideas ranging from the traditional to the unconventional. The team understands that your wedding needs to reflect your personality. Offering experience, creativity and support, they never lose sight of the fact that ultimately, it is your day. When you choose Castle Green, you outline your dream wedding and the friendly team will apply their knowledge to guide you through the planning process, exceeding all of your expectations. Both set reception and venue packages are available to start you off, but the dedicated wedding team like to break the mould by offering alternative wedding packages with afternoon tea, barbecues and buffets, or romantic winter wonderland packages complete with a candlelit ceremony and mulled wine, the decision is yours. From civil ceremonies to evening celebrations, the team at Castle Green is honoured every time a couple chooses their venue. By the time you exchange vows and celebrate with your loved ones, you will truly feel apart of the family at Castle Green. 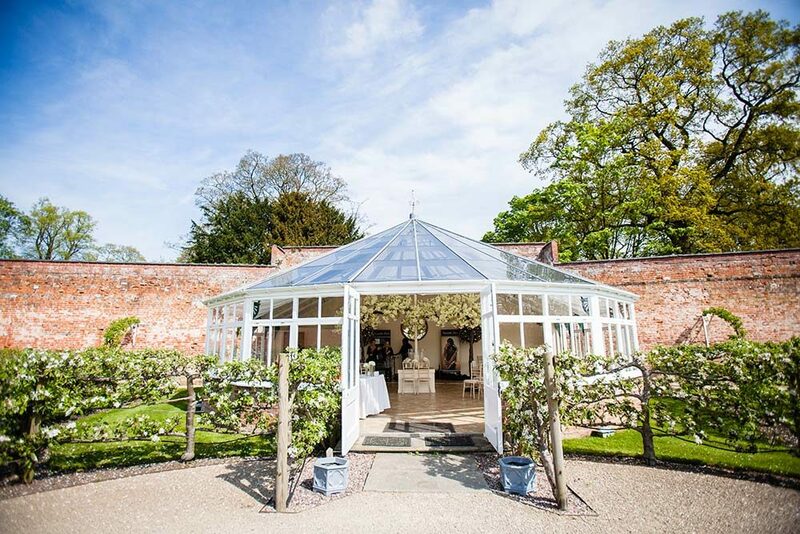 On the borders of Cheshire, Shropshire, Staffordshire and North Wales, you will find Combermere Abbey. 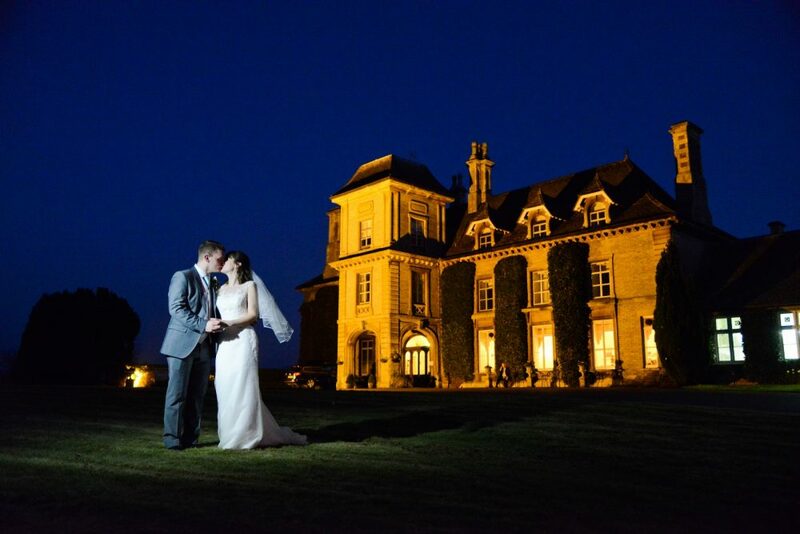 Set within acres of exquisite parkland, the Abbey dates back to the 12th century. Its immaculate Victorian walled gardens and resplendent indoor spaces are exclusively yours on your wedding day. Licensed for civil ceremonies, stroll through the idyllic fruit maze to say your vows in the Glasshouse. 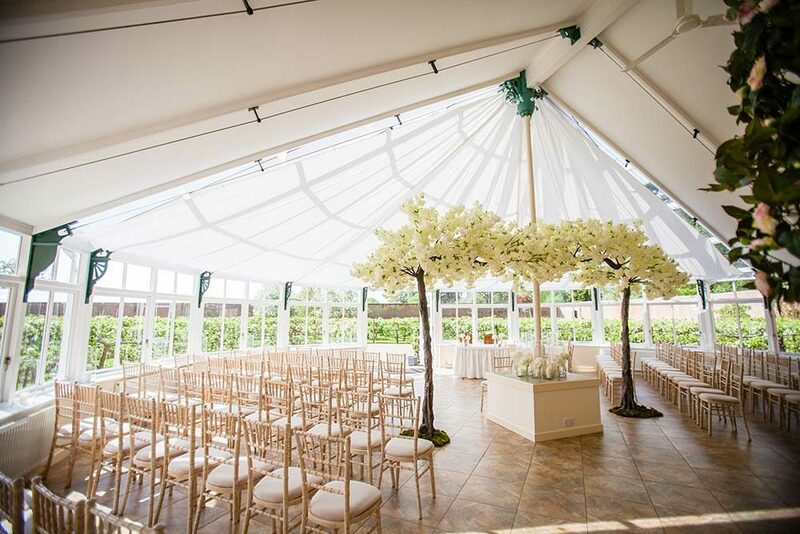 Flooded with natural daylight, the Glasshouse seats up to 120 guests and, with its views over the maze and gardens beyond, boasts the beauty of an outdoor setting with the shelter of being inside. Outdoor ceremonies can take place in the centre of the maze itself, or under the pretty garden arbour surrounded by your guests. For religious ceremonies, there are an abundance of local churches within easy reach of Combermere. Following your ceremony, enjoy welcome drinks and canapés with your guests around the maze and Glasshouse, before walking through to the picturesque Pavilion lawn. A permanent marquee, the Pavilion’s spacious interior boasts designated areas for your bar, dining space and dance floor with glass doors opening directly on to a terrace overlooking the gardens beyond. 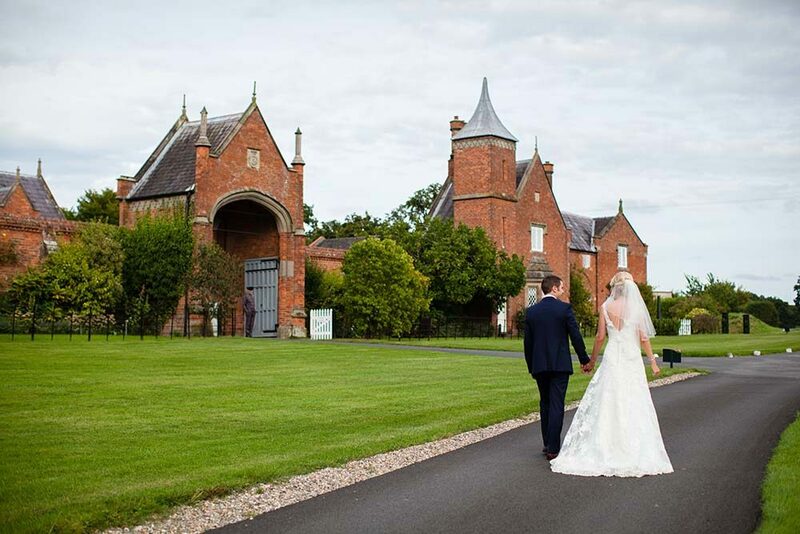 Exceptional food and service are at the heart of every wedding at Combermere Abbey. The team works alongside talented catering companies to offer you both choice and quality for your wedding breakfast. As the sun goes down, the star cloth lining and chandeliers in the Pavilion and fairy lights in the trees beyond set the scene for your evening party. Combermere Abbey is delighted to be able to offer overnight self-catering accommodation for up to 49 guests in the converted stable cottages. Meanwhile, the happy couple can spend their first night in the North Wing of the Abbey itself. With private entrance, butler service and views over the mere…you might never want to leave! There’s a common misconception that weddings are best in the warmer months, but with no guarantee of the sun in summer, winter weddings at Eastwood Park can be just as special and so romantic. Picture a crisp winter’s day, celebrating your wedding with your nearest and dearest in a cosy yet spacious country mansion, as you enjoy stunning views of the surrounding countryside with the possibility of deer wandering the frosty lawn outside. All this could be yours at Eastwood Park, with the experienced wedding team waiting to give you a warm welcome, even if it’s cold outside. 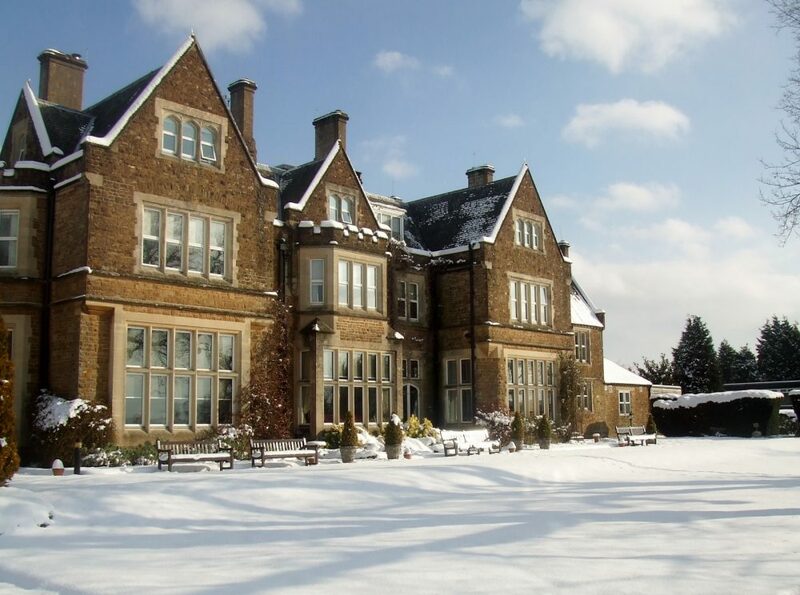 Set within the Gloucestershire countryside, Eastwood Park boasts over 200 acres of formal gardens, meadows and fields which look simply magical with a touch of frost or dusting of snow and are the perfect backdrop for your wedding photos. 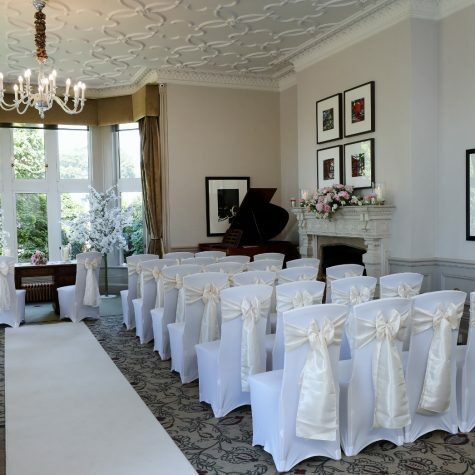 If you don’t fancy braving the cold, all of the property’s wedding rooms have extensive views over the grounds, so you can enjoy the beautiful surroundings without having to step outside. And if the snow does fall, Eastwood Park’s secluded location is still easily accessible, not far from junction 14 off the M5. 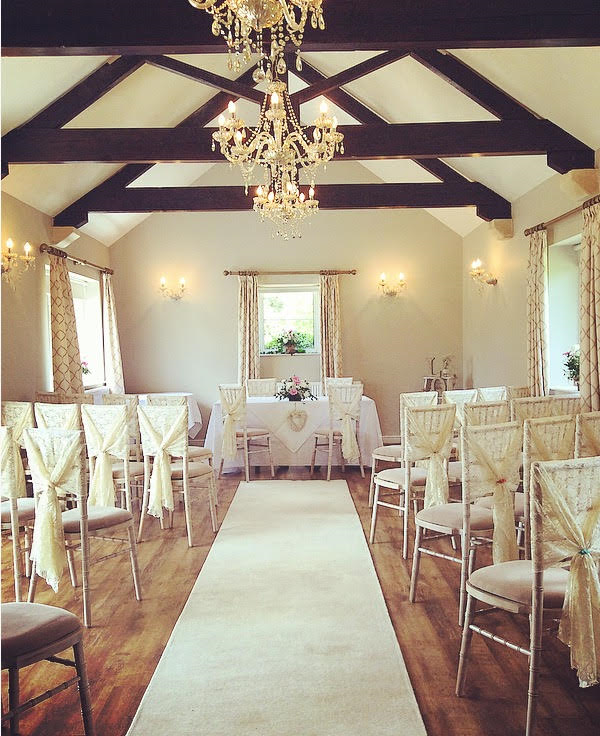 Indoors there are a variety of function rooms offering the flexibility for every size and style of wedding celebration and ample guest accommodation in the house, so you can celebrate your entire wedding day under one roof. As the nights draw in, Eastwood Park allows fireworks on site, a sure-fire way to add some glamour and sparkle to your wedding day. The dedicated team has put together a special winter weddings package to help you get the most out of your seasonal wedding at Eastwood Park, available on selected dates in November and December 2017, or January and February 2018. The package features a delicious winter themed menu plus mulled wine, and everything you might need to make the day a success. If you would like to find out more, contact the wedding team on 01454 262805 or email weddings@eastwoodpark.co.uk. When the frost starts to glisten over the rolling Chiltern Hills, come and say I do at Kings Chapel in the charming gingerbread town of Old Amersham. Fill the breathtaking domed Main Hall with paper snowflakes, twinkling fairy lights, and evergreen or leave the magnificent room as bare and graceful as the wintery trees, ready for your nearest and dearest to snuggle in and let us spoil them. 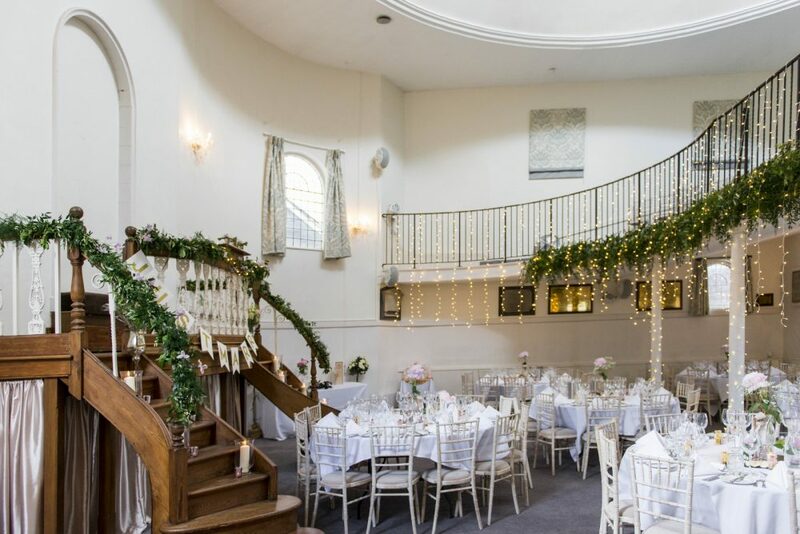 Glide down the aisle between snow-white pillars to the traditional pulpit, or perhaps exchange vows atop the grand balcony with a view of the pretty town and landscape as your backdrop through the high arched windows. After the ceremony, spill into the elegant reception room for a celebratory mulled wine or Winter Pimms to sip under the chandeliers with a tasty canapé or two…or a handful! After the clinking of glasses and the clicks of camera shutters, take your seats for the heartiest of wedding breakfasts, hand-picked by the wedding couple, with portions generous enough to leave you warm and fuzzy for days after. Once everyone is suitably fed and watered it’s time to cut the cake and head to the dance floor! Put on your dancing shoes and boogie the night away with the help of Kings Chapel’s recommended DJ or band; you and your guests won’t want to miss a single tune! 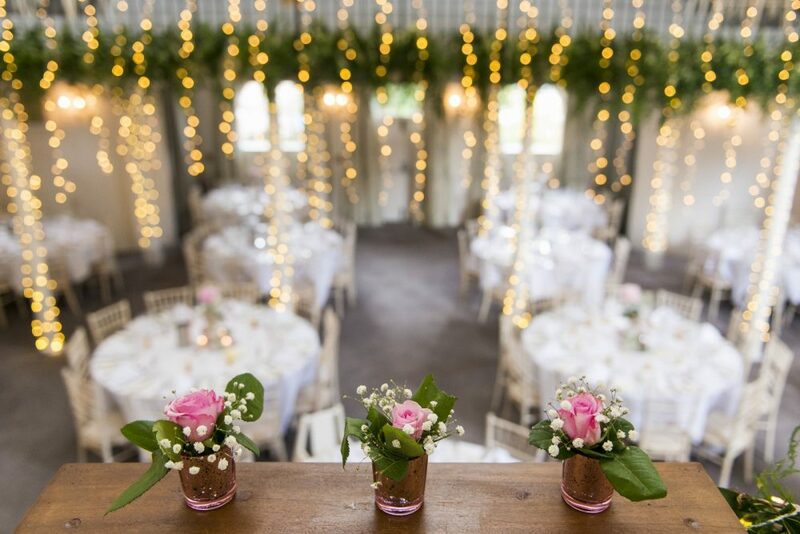 With the bar, ceremony room, reception room and state-of-the-art banqueting kitchen all on site – and even a private walled garden for you to venture out with the warmth of true love to keep the goosebumps at bay! – your wedding is your own exclusive world. With the option of a late bar until 2am, the party does not need to wrap up early. Continue the celebrations the next morning over a hearty full English and steaming cuppa after your complimentary night in the hotel’s Bridal Suite, complete with Jacuzzi bath, four-poster bed and furry throws to keep you cosy all night long. 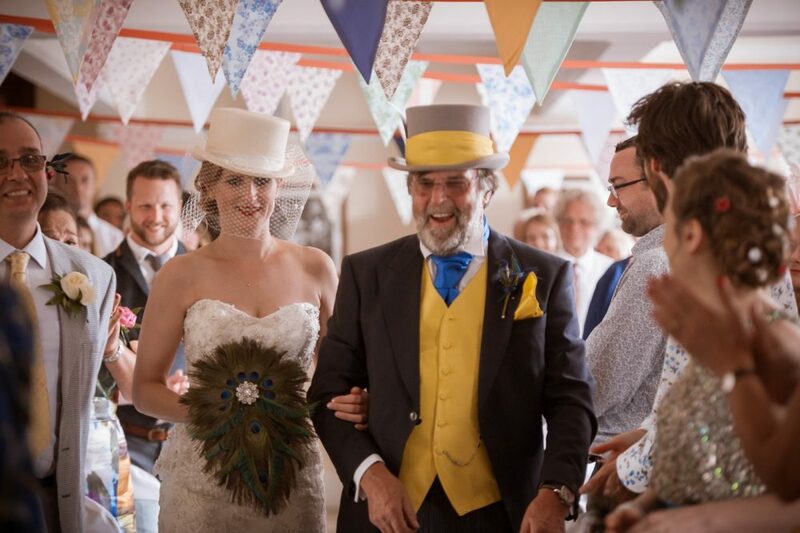 With Kings Chapel you are sure to be looked after from your initial inquiry, right through to your first steps down the aisle and farewell the day after. Nestled in the heart of the Surrey countryside, Hartsfield Manor, Betchworth, is the perfect place for your winter wonderland wedding. If stunning Victorian grandeur and breathtaking views of the beautiful Surrey Hills covered in snow are what you are looking for, then this enchanting property provides a flawless backdrop for an unforgettable and most special day. At Hartsfield Manor, the dedicated team believes that it is the finer details that make each wedding unique. The wedding coordinators will always be on-hand throughout your planning process, ensuring your every wish becomes a reality. 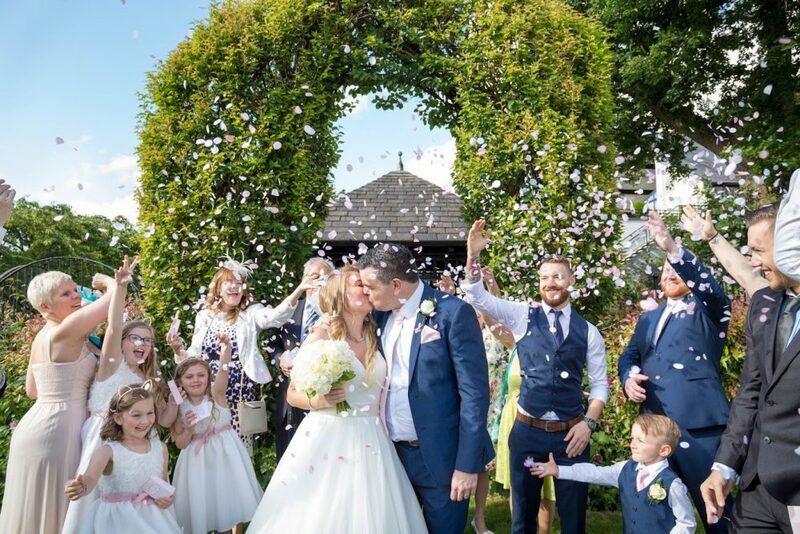 Your civil ceremony and reception will be tailored to meet your exact needs and requirements, allowing you to relax and enjoy the most important day of your lives surrounded by family and friends. Located in the heart of the pretty market town of Midhurst, West Sussex in the centre of the stunning South Downs National Park, Capron House is a magical winter wedding venue. 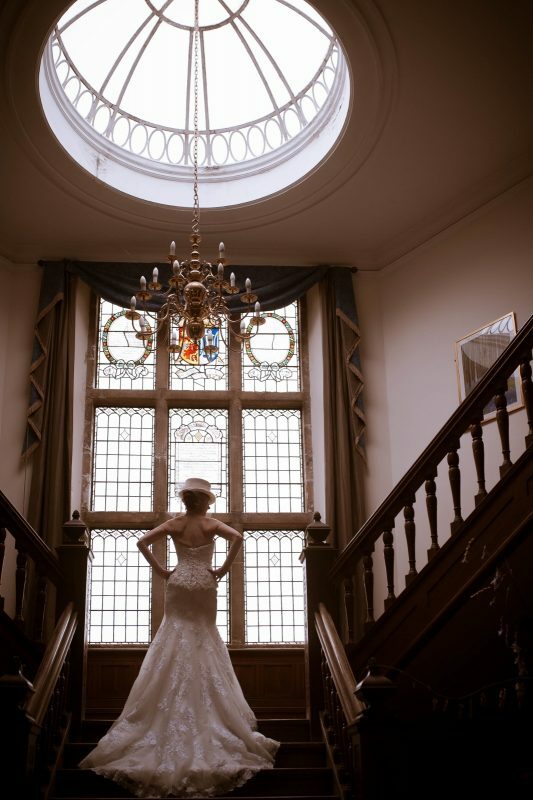 The grand front porch leads into an impressive entrance hall boasting a carved staircase, breathtaking high stained-glass windows and a glistening chandelier – ideal for your wedding photographs. There is also the option of having photographs in Capron’s beautiful walled garden. 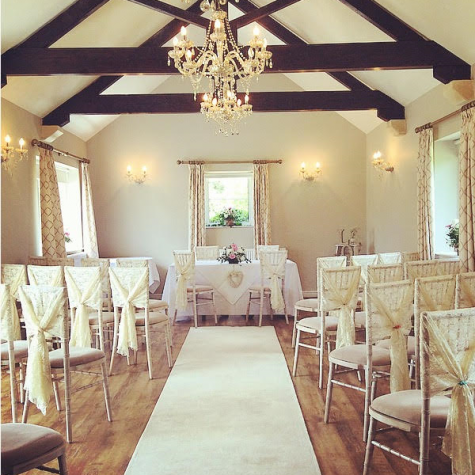 The recently refurbished exclusive-use venue has a civil wedding ceremony licence and can host small or larger ceremonies of up to 80 people in either the main Cowdray room or the smaller Pearson room. 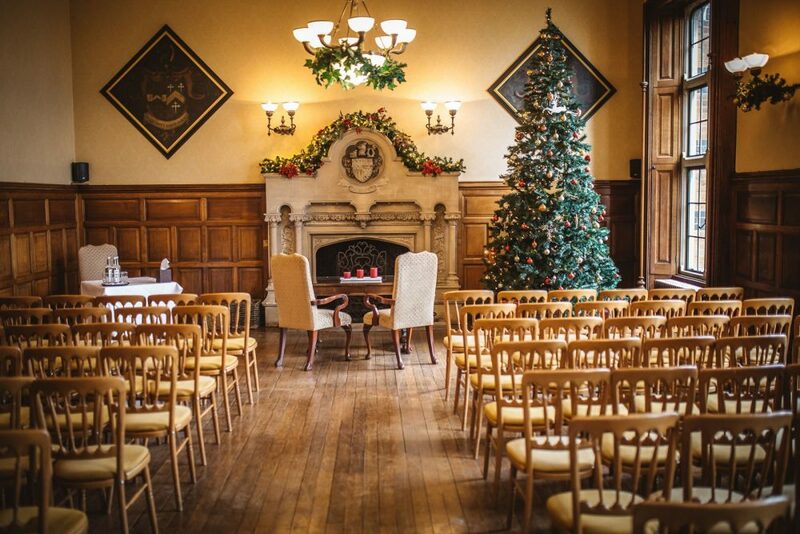 Formally a grammar school where celebrated author HG Wells was educated, the flagstone floors and fireplace gives the main room a cosy and intimate feel particularly suited to a winter wedding. Capron House is part of Cowdray, a 16,500-acre family-owned estate. The estate offers a range of accommodation options including four holiday cottages which sleep 13, and seven en-suite rooms sleeping 16 at its newly refurbished Golf Lodge. The venue’s central location means that there is plenty of accommodation and restaurants within easy walking distance and a private car park within a five-minute walk, as well as a public car park opposite the building. Capron House is only a short walk across a causeway from the Cowdray Heritage site, the ruins of one of England’s most important early Tudor houses which burnt down in 1793. It is possible to arrange for the bridal party to have wedding photos taken at the Ruins. With its history and heritage and convenient location, Capron House is a unique setting for your special winter wedding. 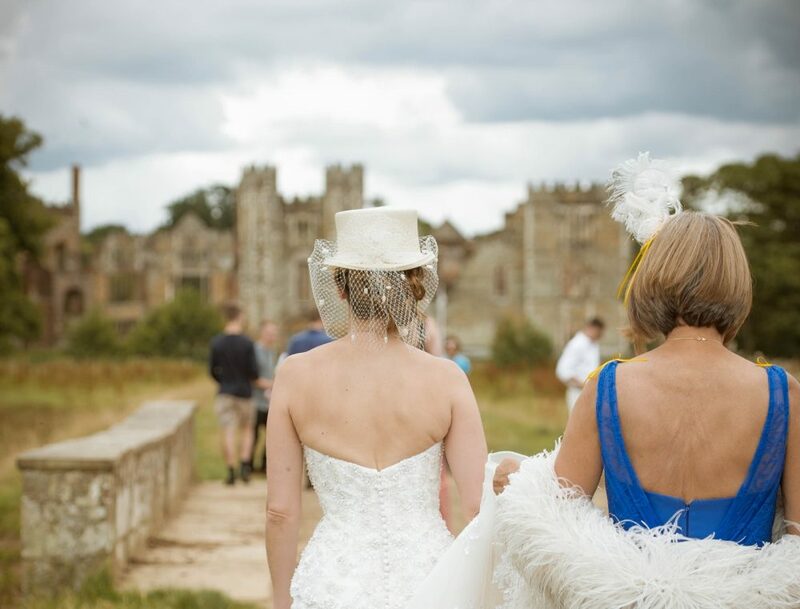 For more information, please call Cowdray Events on 01730 814522 or email houseevents@cowdray.co.uk to discuss your requirements in more detail. 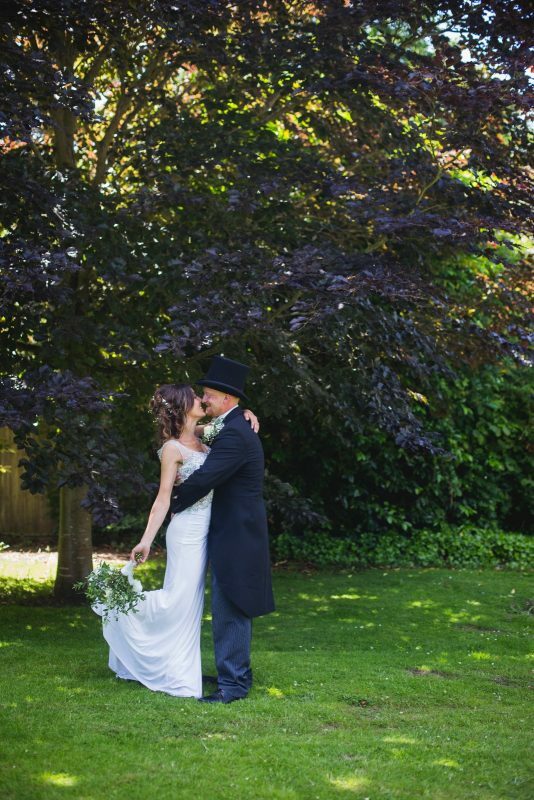 Ideally situated just outside the historic town of Bradford on Avon, Widbrook Grange offers tranquil seclusion nestled amidst 11 acres of beautiful grounds and romantic flowering gardens for the perfect countryside wedding. Originally constructed as a Georgian model farm in the 18th century, this enchanting venue is rich in history, still bearing original stonework visible from the many exposed brick farmhouse bedrooms and timeless rustic charm framing the buildings. where attention to detail is second to none. Winter is a time of romance and sparkle, snow will turn the grounds into an idyllic white wonderland scenery which combined with warm winter cocktails, mulled wine, hanging tea lights on wintery trees will make this country farmhouse retreat stunningly magical. 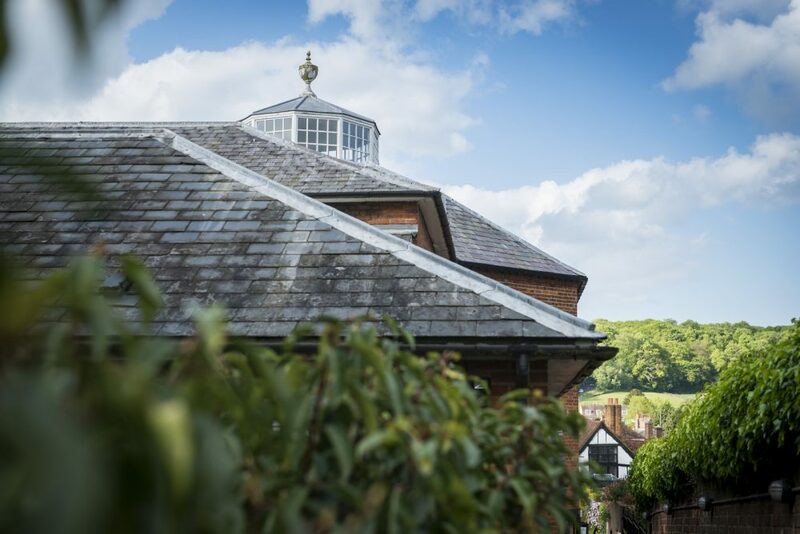 You and your guests can explore romantic walkways, flowering terraces, individually designed rooms with original antiques, roaring log fires, glorious courtyards or indulge in the venue’s incredible Gin Bar. on 50 guests for your ceremony and 80 guests for your evening reception. Contact the reservations team on 01225 864750 for more information or email events@widbrookgrange.co.uk. The Derwentwater Hotel is situated on the northern shore of Derwentwater with stunning views of the surrounding fells and the northern Lake District, which was recently awarded UNESCO World Heritage Site status. Sat amidst the majesty of Cat Bells and the mighty Skiddaw, it is difficult to think of anywhere more beautiful to exchange wedding vows. 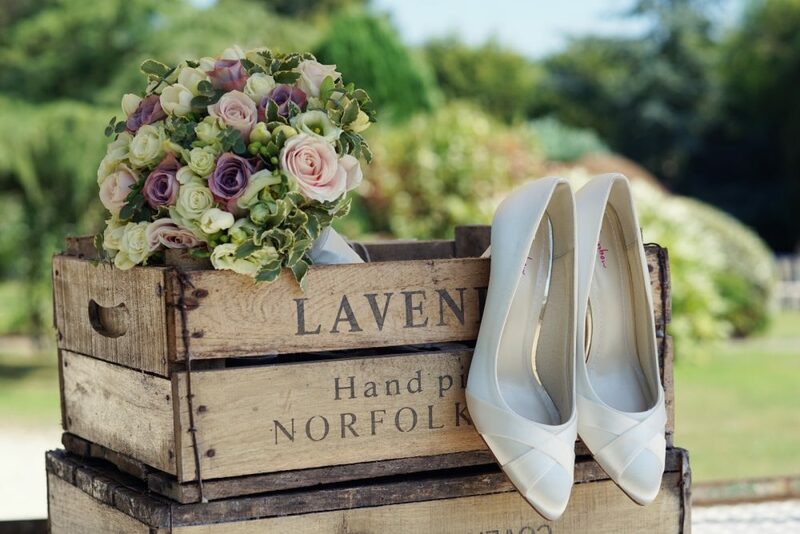 From a small cosy ceremony and family meal to much grander affairs, the team will be on hand every step of the way to deliver your perfect wedding in an undeniably world class location. 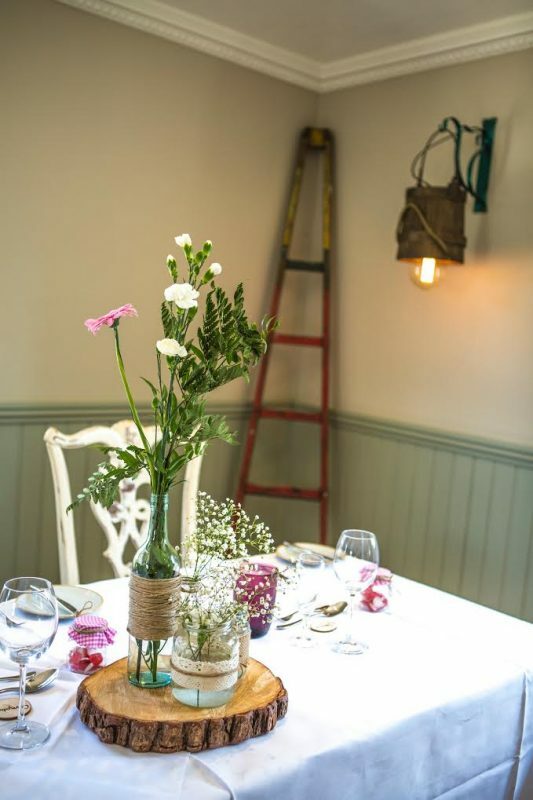 Whether you want a Tipi on the lawn with a barbecue hog roast, or a more formal wedding breakfast in the beautiful restaurant after you’ve tied the knot in the conservatory, you will be spoiled for choice. After the more formal celebrations of the day are committed to the wedding album and etched in your memory, it is time to let your hair down and dance the night away to some of your favourite tunes. The team at The Derwentwater Hotel can work with you to find some great live music or arrange the DJ that will take you through to the small hours whilst you catch up with family and friends who have joined you to celebrate your union. 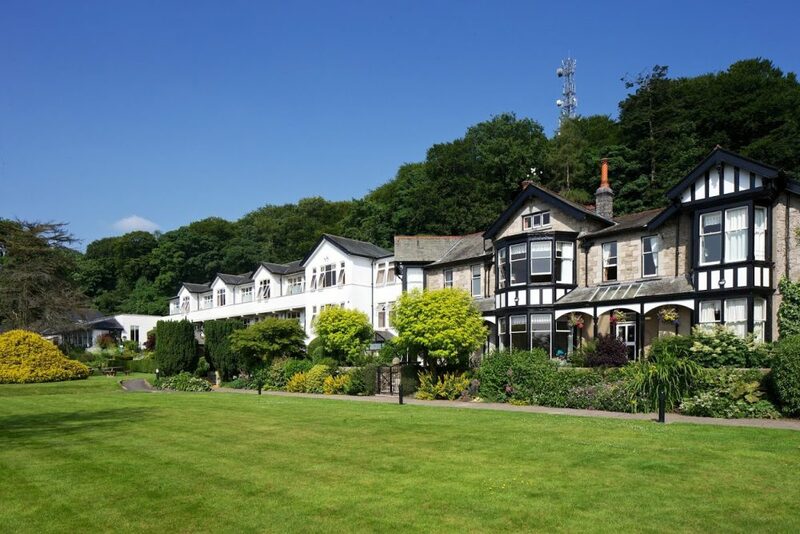 The hotel has 47 comfortable en-suite bedrooms along with 19 self-catering apartments should some of your guests wish to extend their stay and explore the beauty of the Lake District further. 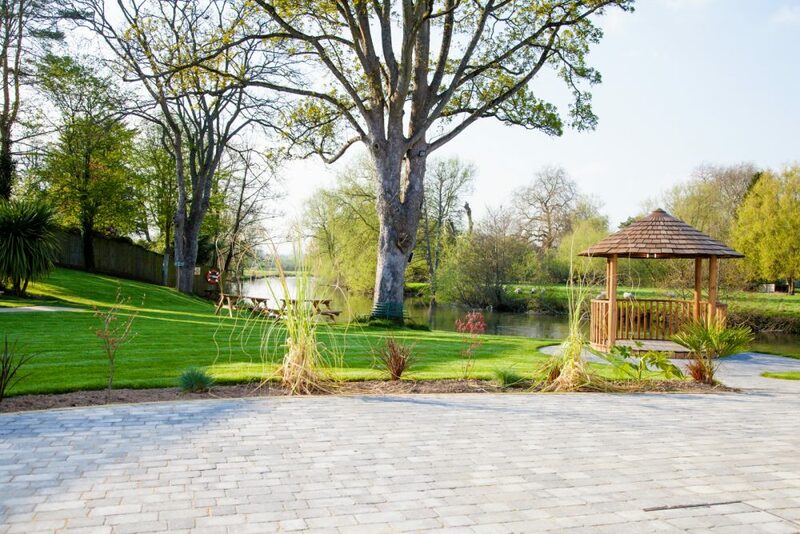 The professional team at Hawkwell House Hotel are dedicated in providing a personal, attentive service and level of expertise from the moment you step through the door. Set in the historic village of Iffley, lays the tranquil hidden gem that is Hawkwell House Hotel. Offering a sophisticated ambiance; blending the traditional with the contemporary and only a stone’s throw away from Iffley Lock and Oxford’s city centre. Set in 3 acres of picturesque grounds – with a sense of luxury and calm, the two beautiful private manor houses are the perfect backdrop for any occasion. 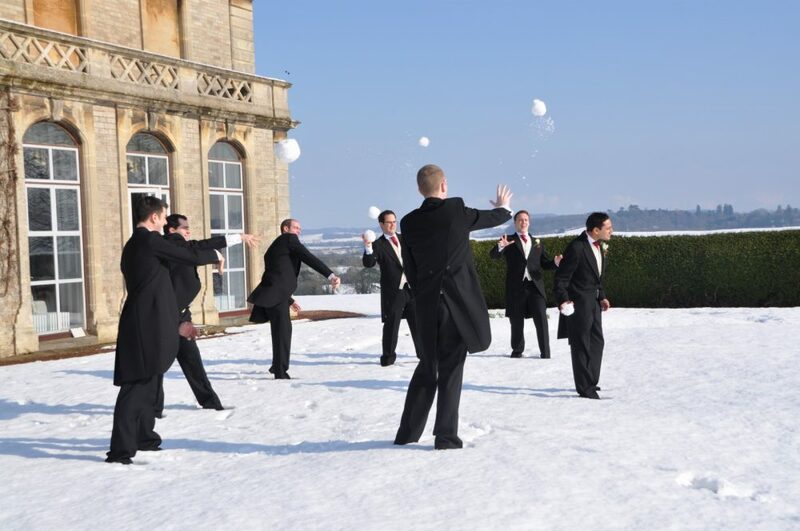 Proud to be one of few venues in Oxfordshire that can offer both outdoor ceremonies and an exclusive wedding booking policy, you and your loved ones can enjoy full access to the hotel and the team’s undivided attention. The wedding specialists are there to help you through every step of your planning, working closely with you to ensure all your desires are met. The property boasts a range of suites to accommodate every type of wedding, ceremony and celebration from an intimate dinner of 20 to larger celebrations of 200. 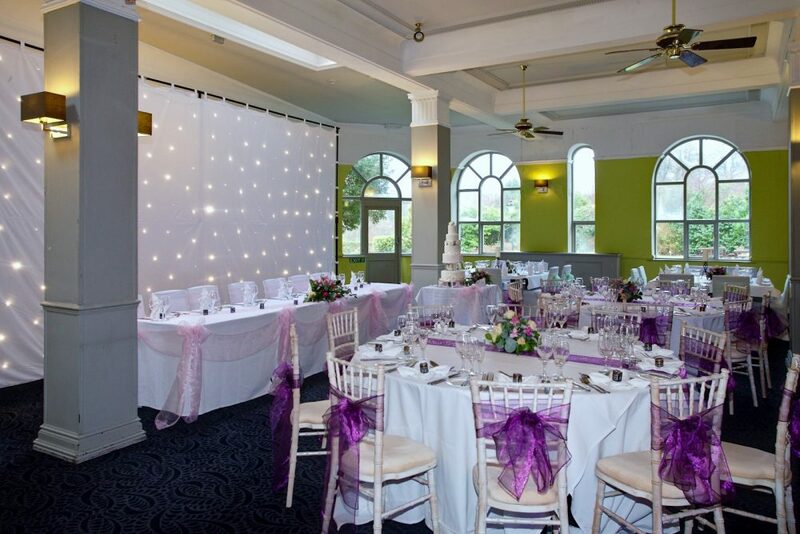 Nothing less than perfect will do for your special day at Hawkwell House Hotel. 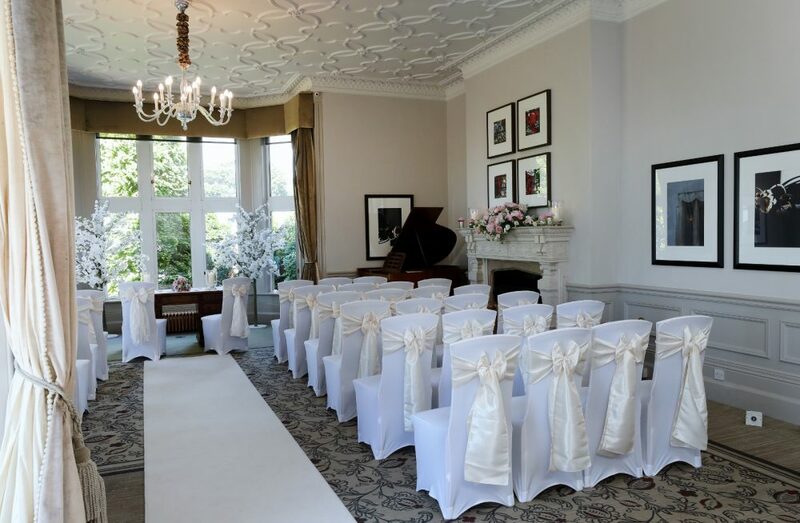 Full of historic charm and character, The Legacy Rose & Crown Hotel in Salisbury is an enchanting venue for your winter wedding. 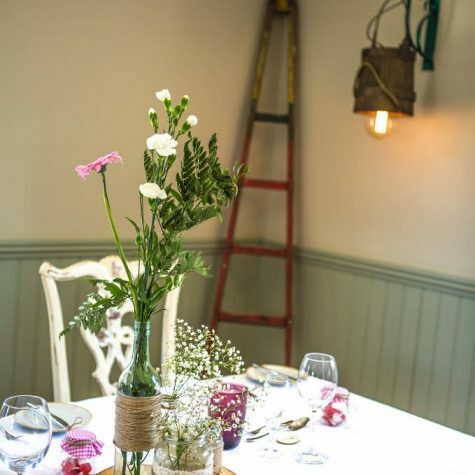 Nestled in the heart of the English countryside, Salisbury is steeped in history and the 13th century Legacy Rose & Crown Hotel holds the perfect spot along the meandering River Avon to host your wedding celebrations. Voted as Wiltshire’s Top Rated Wedding Venue 2016, the four-star hotel has flexible event spaces, including a newly-launched orangery and the Cathedral Suite. 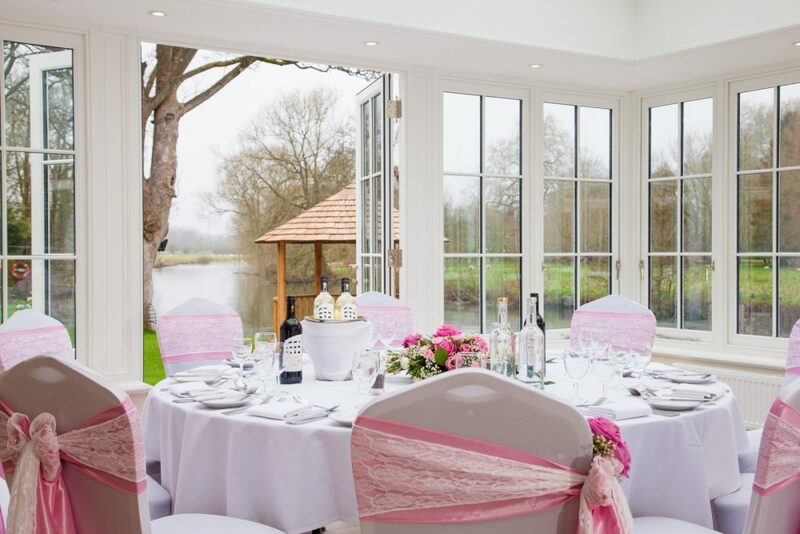 Offering picturesque views along the banks of the River Avon, couples have the choice of hiring either room for an intimate event, or combining them for a larger celebration of up to 120 guests. 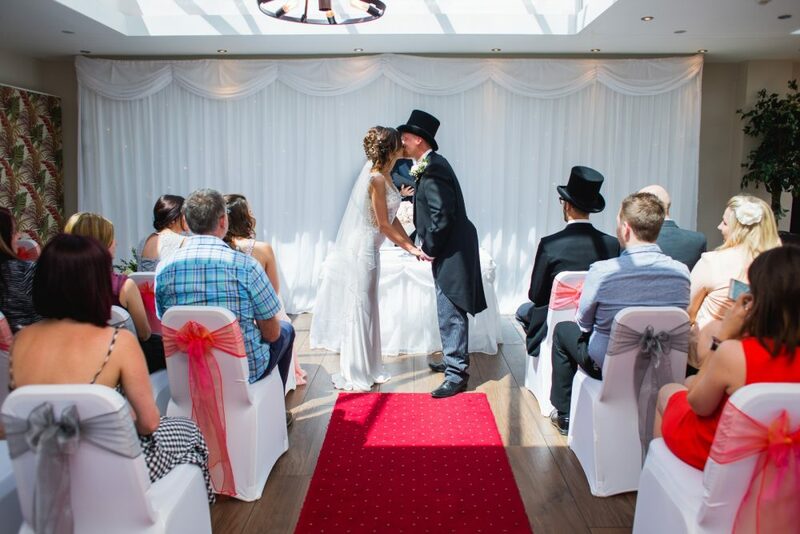 As well as fantastic wedding reception spaces, the hotel is also licensed for civil ceremonies for up to 100 guests, so your whole day can flow seamlessly from your ceremony to the evening celebrations. Legacy Rose & Crown have designed inclusive wedding packages to make planning your wedding as easy as possible. Your dedicated wedding coordinator will help you to choose the perfect package to suit your needs and be on hand to ensure your day runs smoothly. The magic of Legacy Rose & Crown lies in its beautiful setting, encapsulating the great English countryside and housing all the modern facilities for your day to go by without a hitch! Book your winter wedding now from just £2,500. 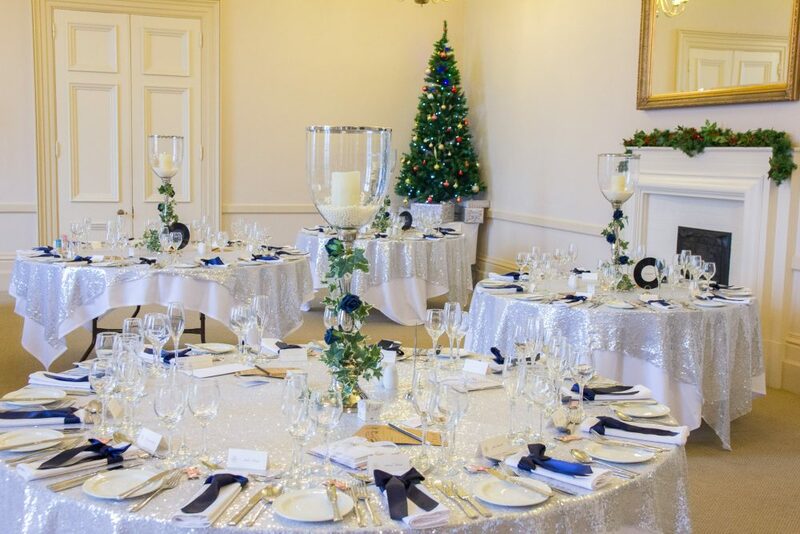 Package includes 50 guests, a drinks reception, three-course wedding breakfast with wine and use of the stunning Cathedral Suite and The Orangery. Selected 2017/2018 dates remaining. Email mev-roseandcrown@legacy-hotels.co.uk or call 01722 328615 for more information.